When you read menus or recipes that claim to be classic American comfort food, meatloaf, hot dogs, hamburgers, fried chicken, turkey with stuffing, mashed potatoes and corn on the cob are the usual suspects. I’m not here to debate what constitutes American comfort food. 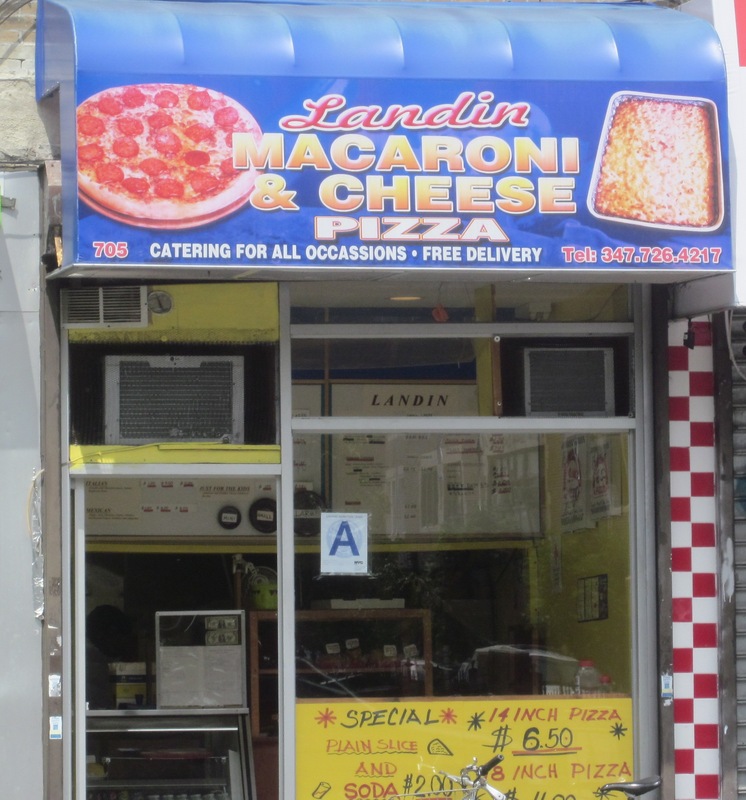 I am here to report that one of those items usually on the American comfort food list; macaroni and cheese, I recently sampled at a small take-out joint in the South Bronx called Landin Macaroni and Cheese and Pizza. 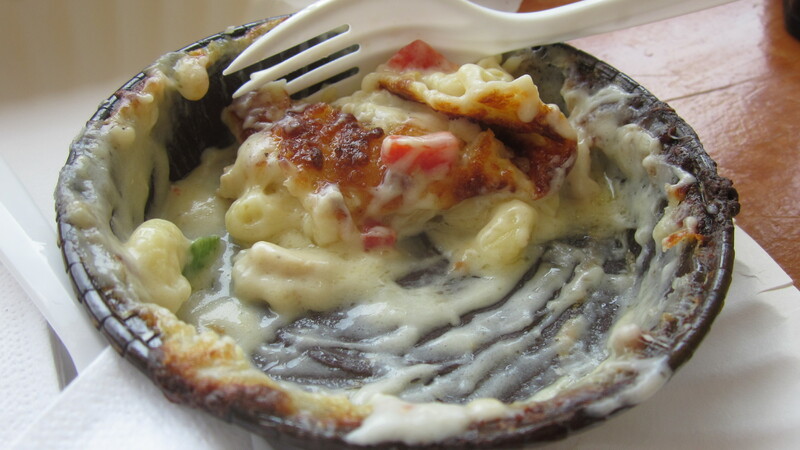 And I can decisively state that what I sampled at Landin, prepared by Mexican chefs, was possibly the most comforting macaroni and cheese I’ve ever had. The Mac and Cheese menu. 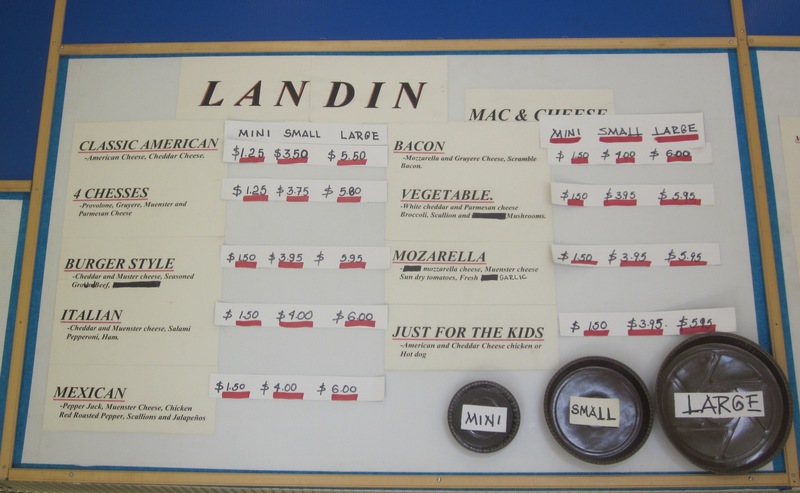 At Landin there are nine different macaroni and cheese options that come in three sizes: mini, small, and large. 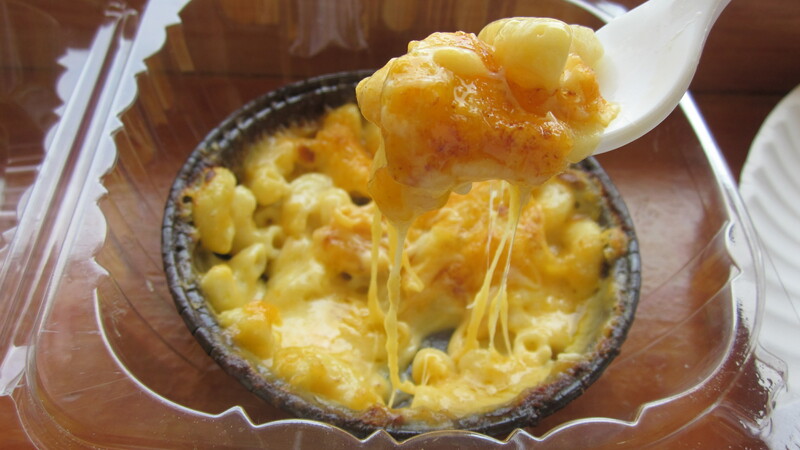 The mini, at $1.50 is the perfect portion if you want to try multiple macaroni and cheeses. And with nine to choose from, you will most certainly want to try more than one. I thought it was my duty to experience the Classic American to see how it might compare to other classic macaroni and cheeses. And it compared superbly. 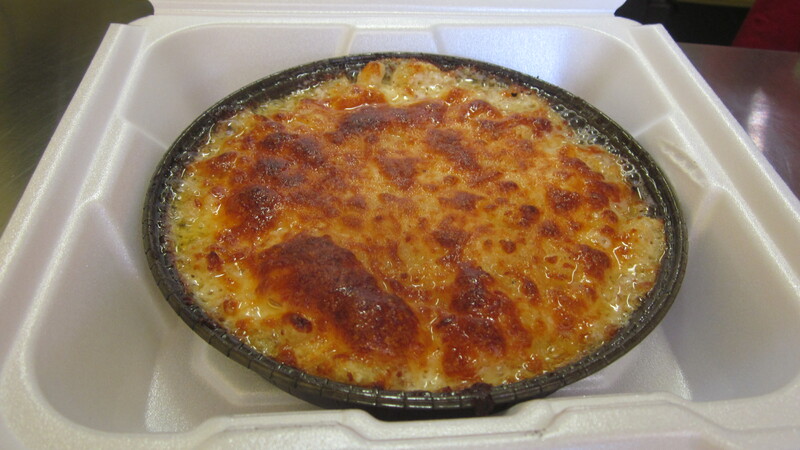 The elbow macaroni was rich with creamy cheddar and American cheese, the top, toasted to a golden brown. Since Landin was run by the skilled hands of Mexican Americans, that more than justified my choice of the “Mexican” option. The combination of pepper jack and muenster cheese along with a few tiny bits of shredded chicken and chopped spicy jalapeno peppers was a revelation. Eating two portions of macaroni and cheese, even if they were mini seemed decadent enough for me, but I couldn’t resist taking home the “small,” which was big enough to share with a family of four, of the “bacon,” option, mozzarella and muenster with pieces of chopped salty bacon. Again, Landin did not disappoint. The “small” bacon to go. 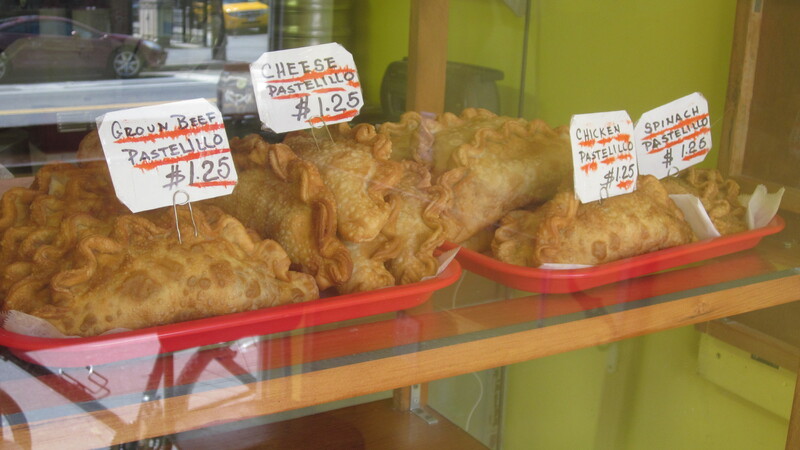 Oh, and I can’t forget the pastelillos. There they were; glistening under glass; beef, chicken, cheese and spinach. How could I resist? I had a beef and spinach tossed into my bag as well. The damage was totaled on the cash register. All that creamy, delicious starch came to under $10. You really can’t get more comfortable than that. im so about this life….. had i this… i wouldnt have moved from the east…. Looks real tasty. If its mexican am sure its as tasty as it looks,those people can cook.